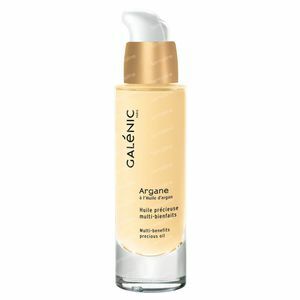 Galénic Argane Huile Precieuse 30 ml order online. Multi-benefits Precious Oil with a delicate, non-greasy satin finish quickly penetrates to instantly nourish and repair the skin. Can be used daily or as a three-week treatment. 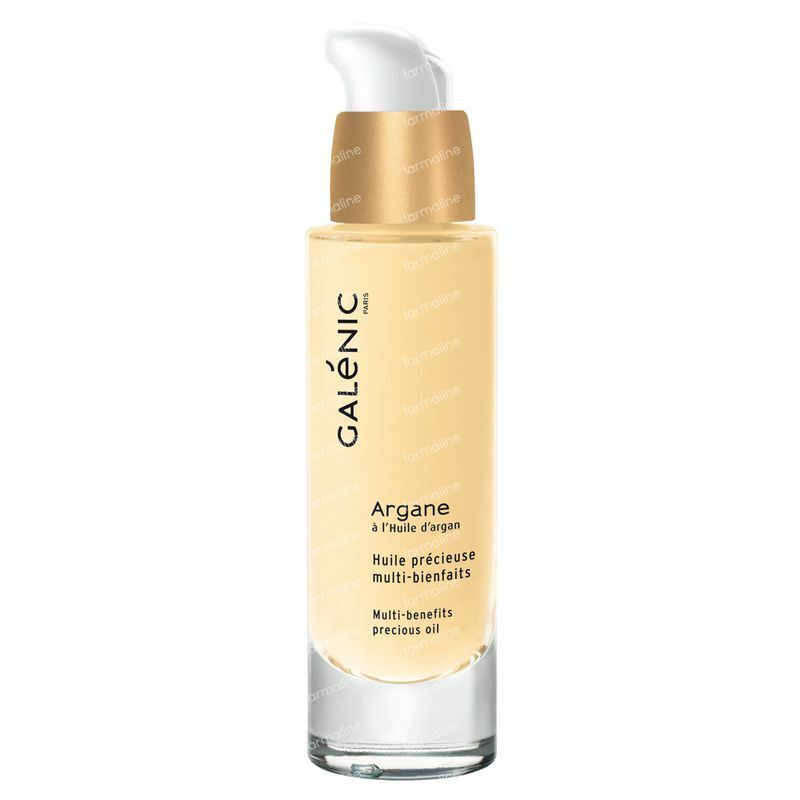 Apply in the morning and/or at night to face, neck and décolleté area before applying your daily cream. ETHYLHEXYL PALMITATE. PROPYLENE GLYCOL DICAPRYLATE/DICAPRATE. CYCLOMETHICONE. CAPRYLIC/CAPRIC TRIGLYCERIDE. MINERAL OIL (PARAFFINUM LIQUIDUM). ARGANIA SPINOSA KERNEL OIL. ALPHA-ISOMETHYLIONONE. AMYL CINNAMAL. BENZYL SALICYLATE. BETA-SITOSTEROL. BHA. BHT. BUTYLPARABEN. BUTYLPHENYL METHYLPROPIONAL. CITRONELLOL. ETHYLPARABEN. FRAGRANCE (PARFUM). HEXYL CINNAMAL. HYDROLYZED VEGETABLE PROTEIN. HYDROXYISOHEXYL 3-CYCLOHEXENE CARBOXALDEHYDE. ISOBUTYLPARABEN. LIMONENE. LINALOOL. METHYLPARABEN. PEG-40 SORBITAN PEROLEATE. PHENOXYETHANOL. PROPYLPARABEN. RETINYL PALMITATE. TOCOPHEROL. TOCOPHERYL ACETATE. I use this facial oil for about 6 months now and always bought it at my local pharmacy for double the price, until I found this site through a colleague. Supppppergood!